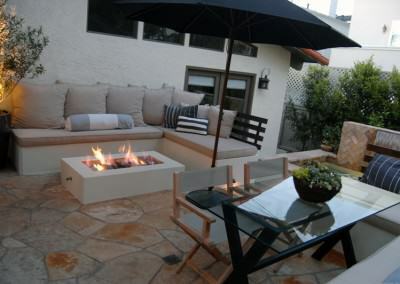 The Kiefers did a total remodel of front and backyard. 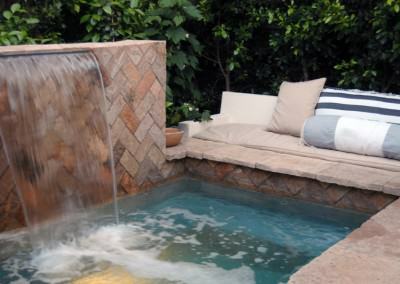 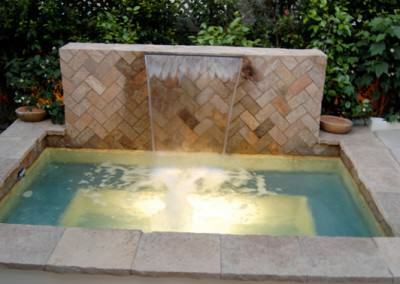 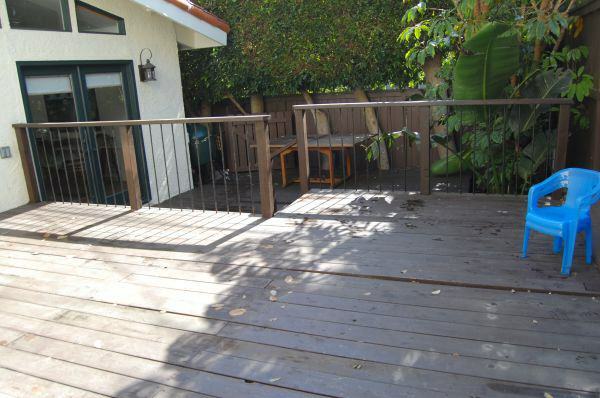 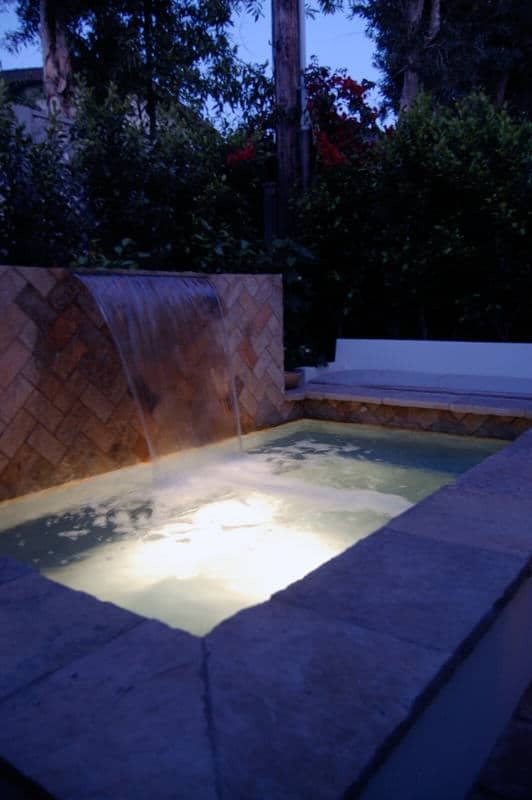 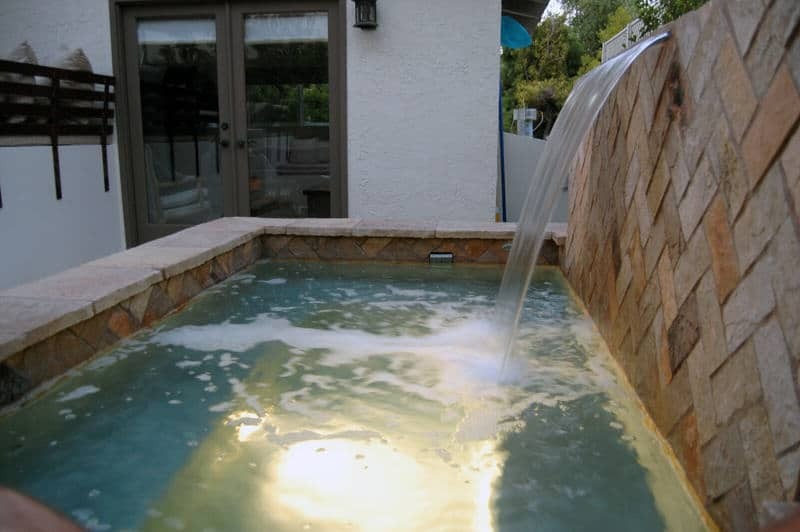 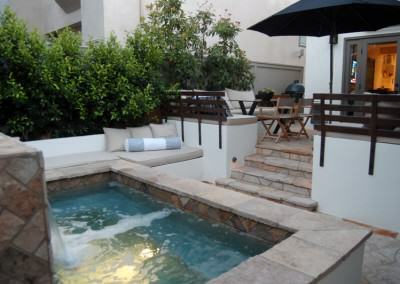 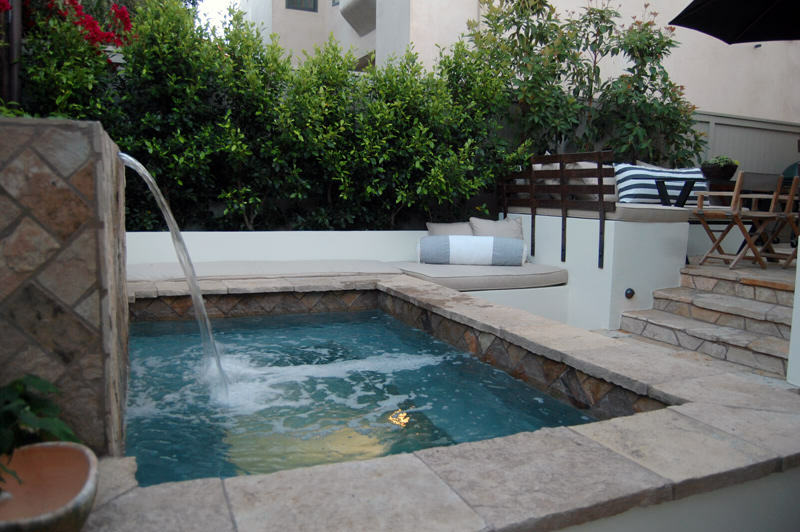 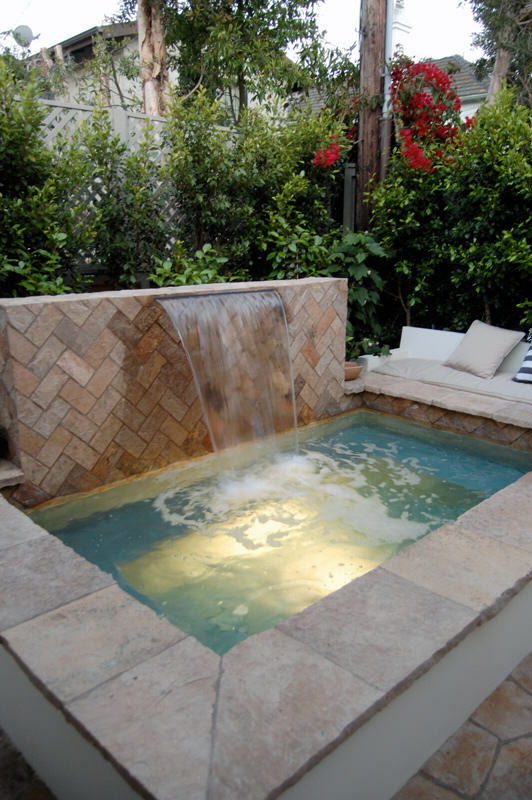 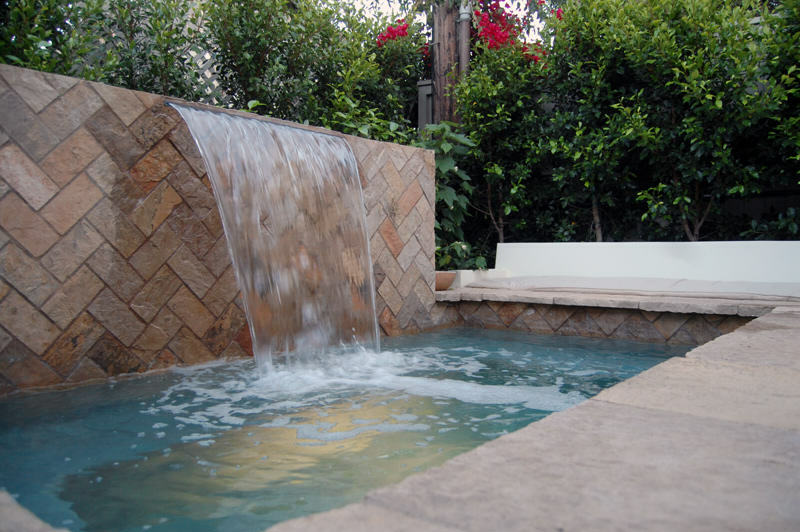 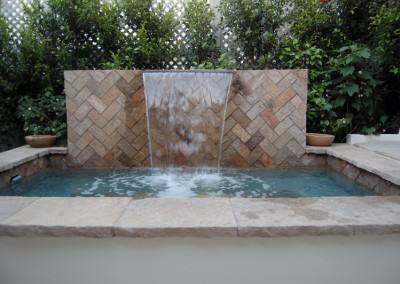 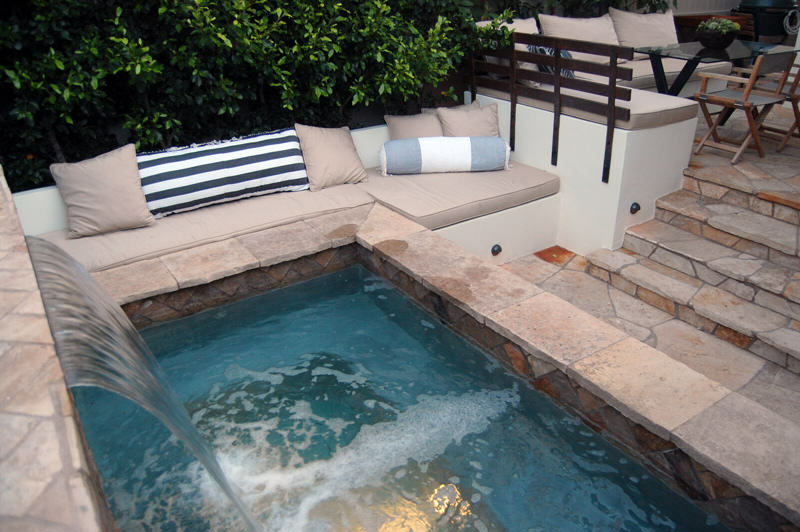 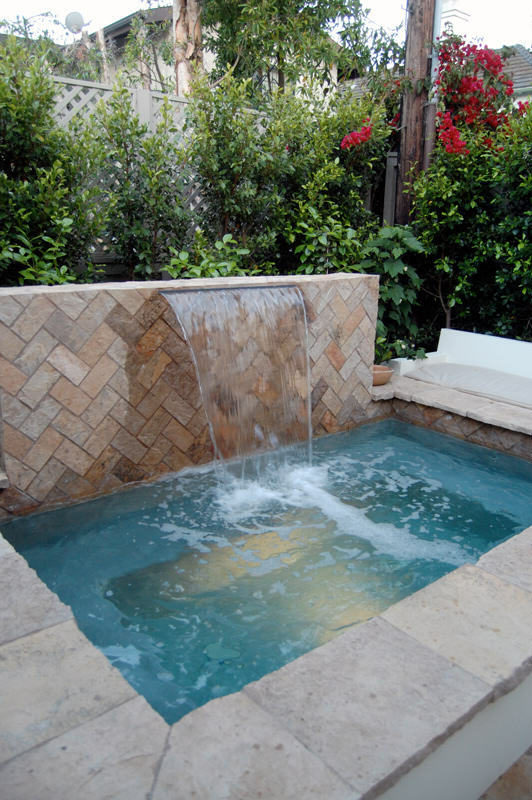 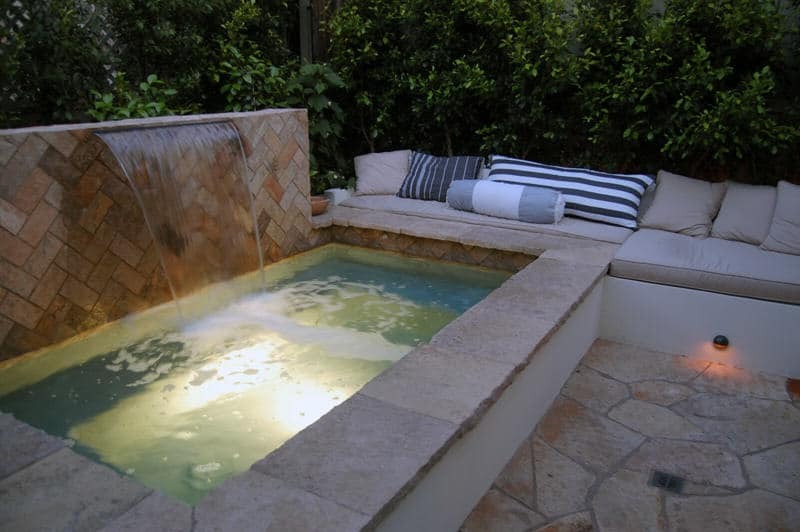 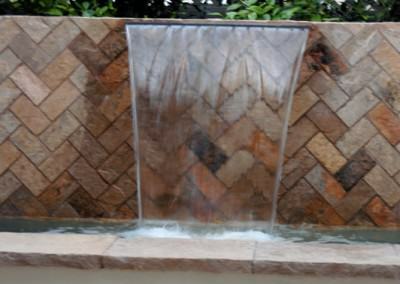 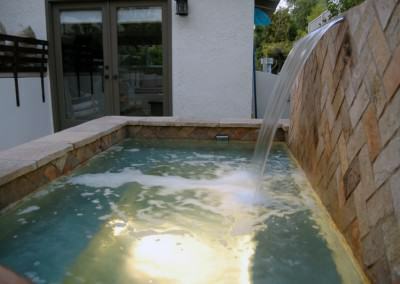 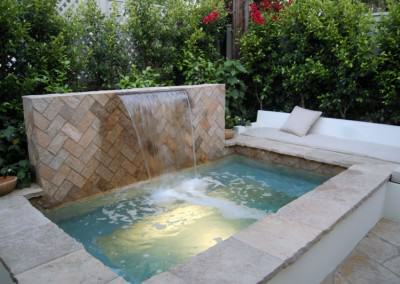 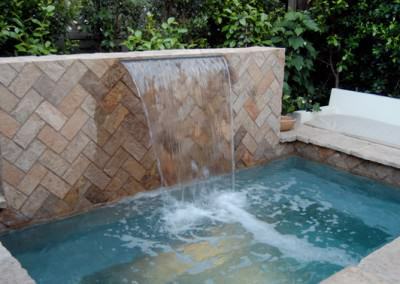 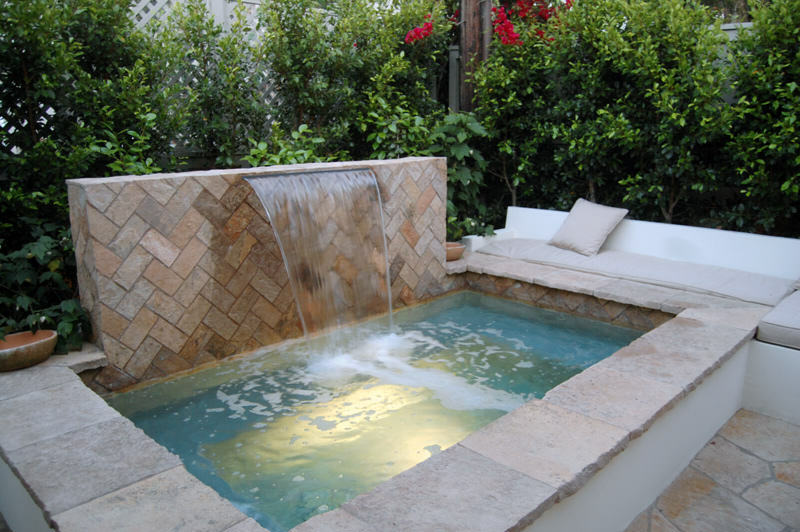 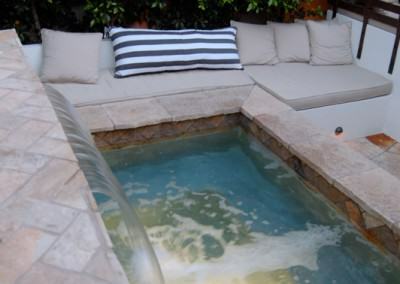 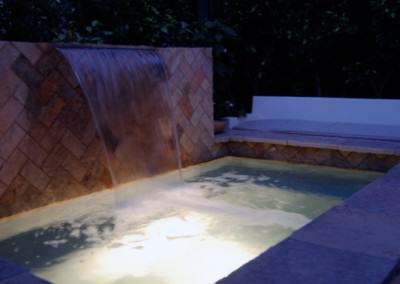 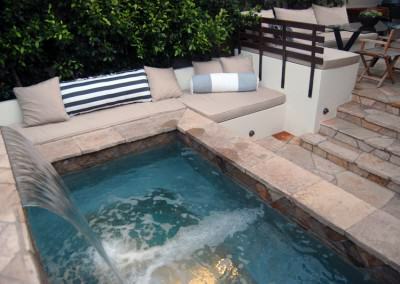 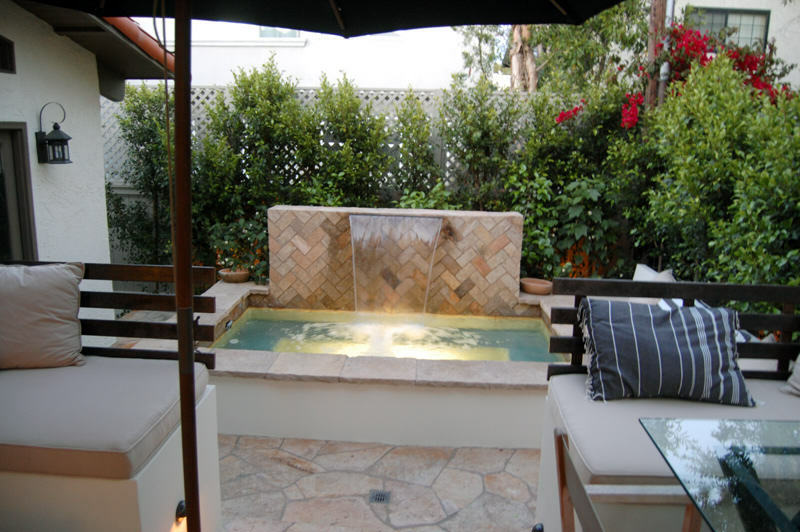 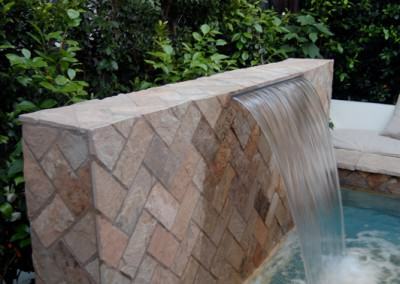 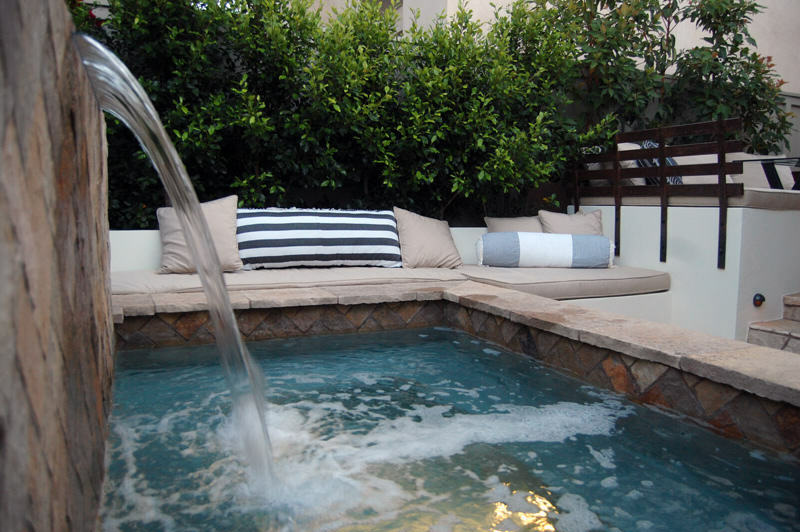 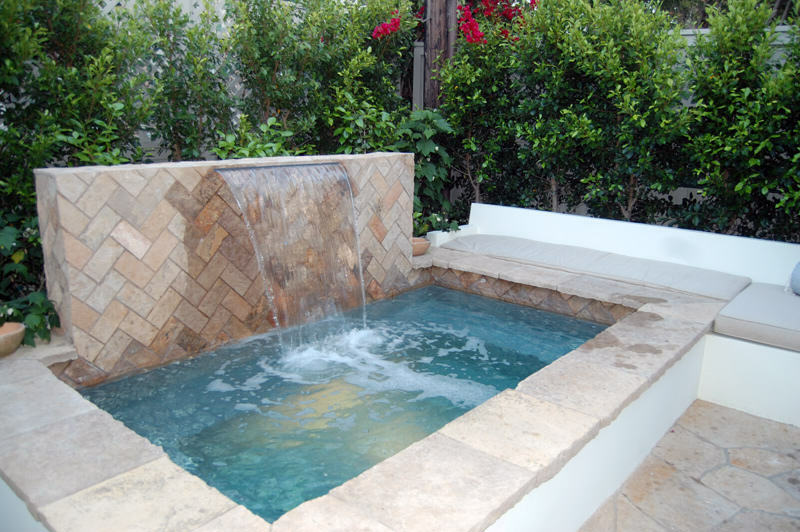 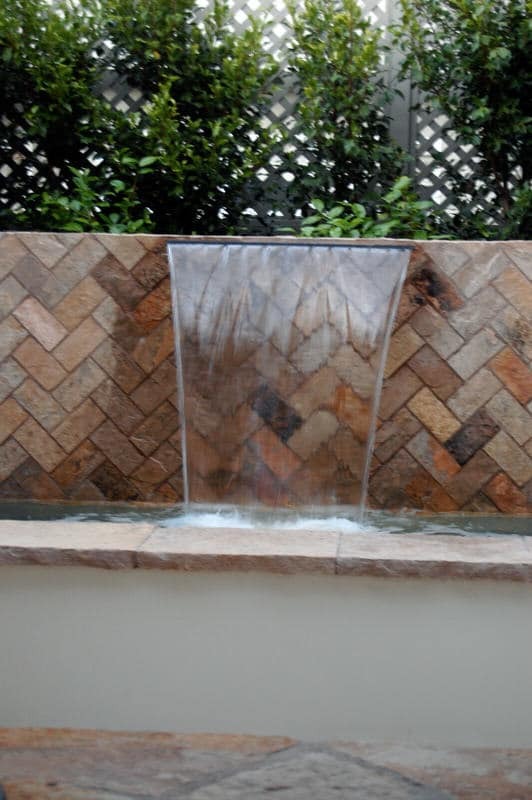 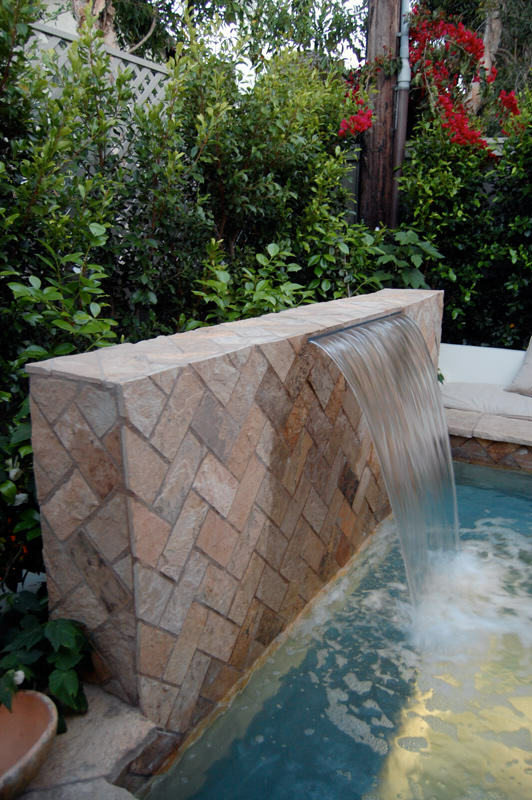 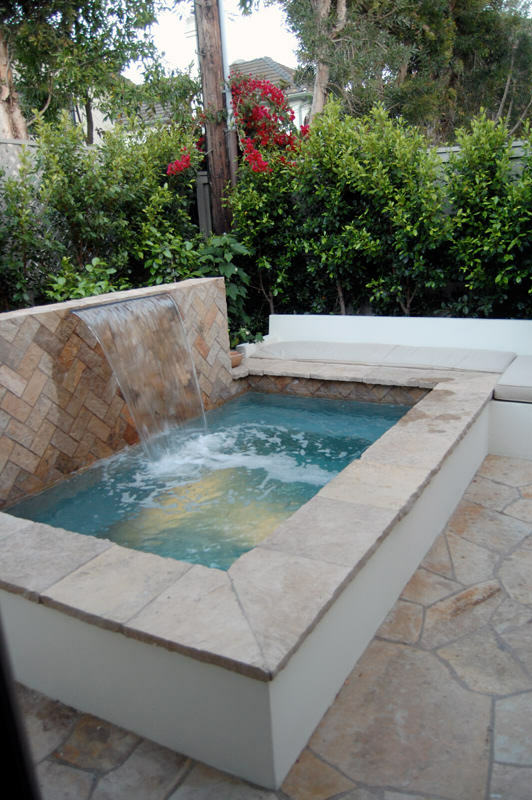 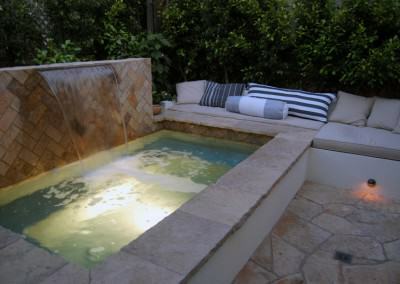 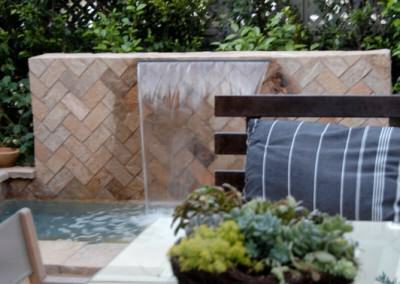 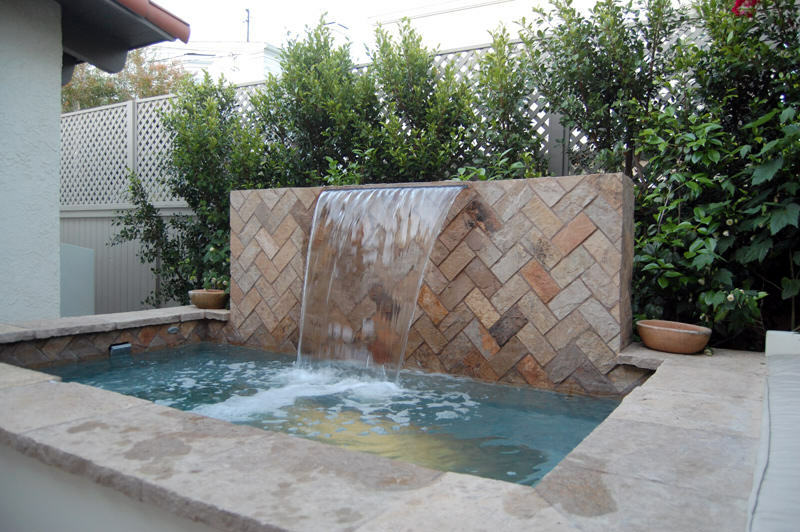 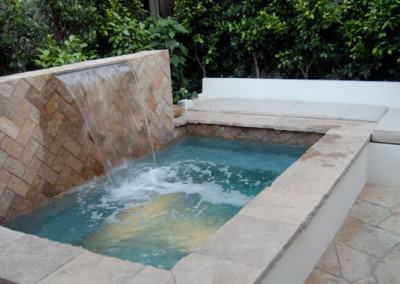 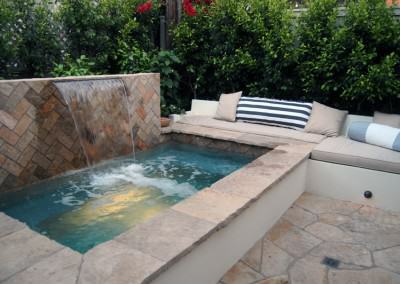 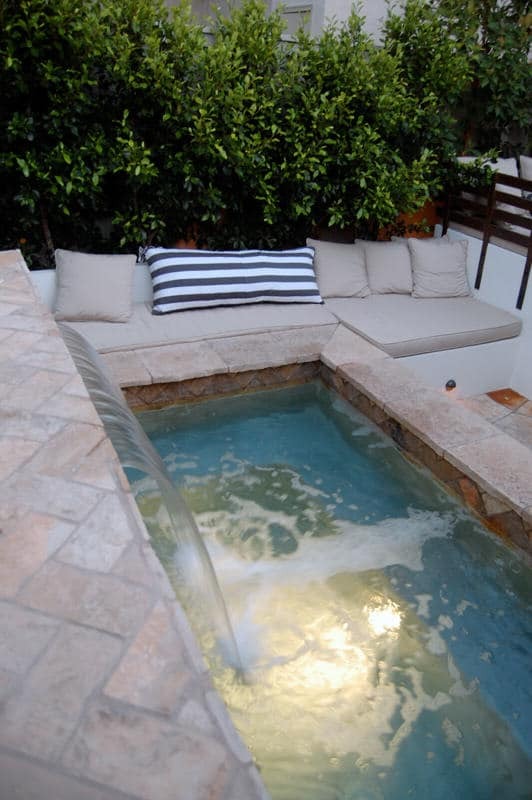 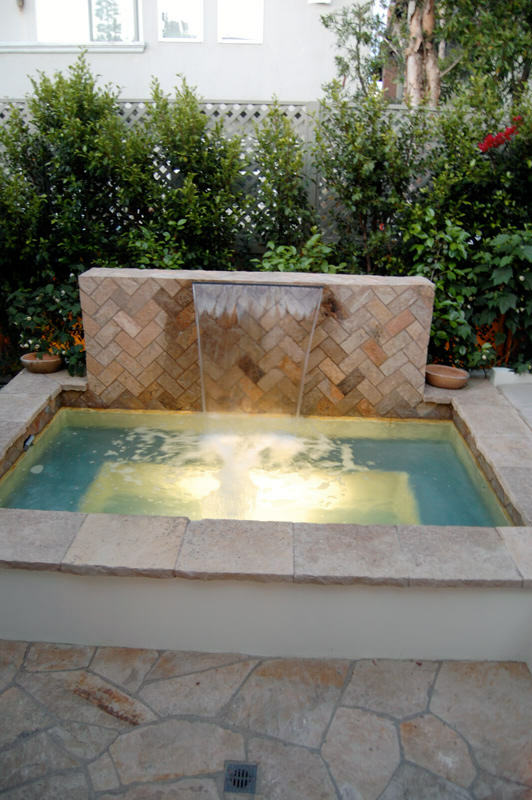 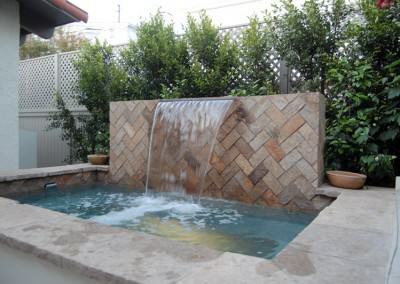 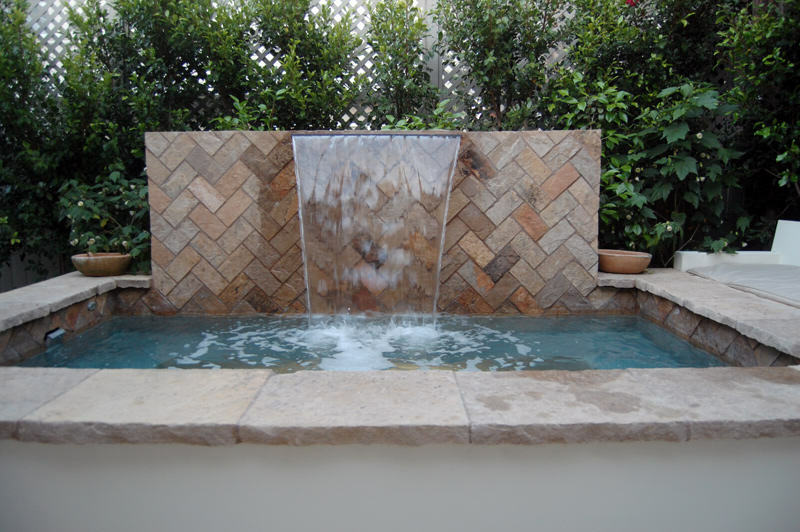 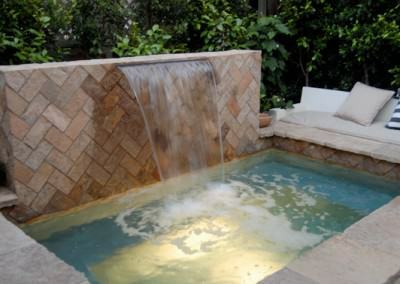 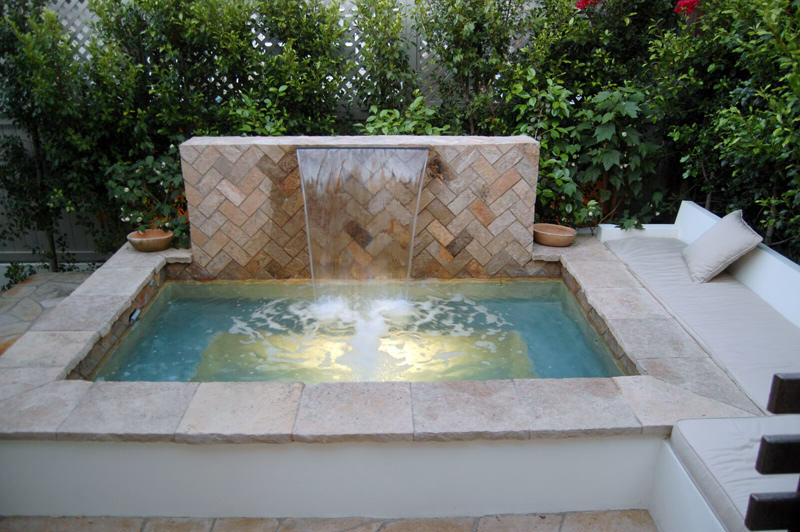 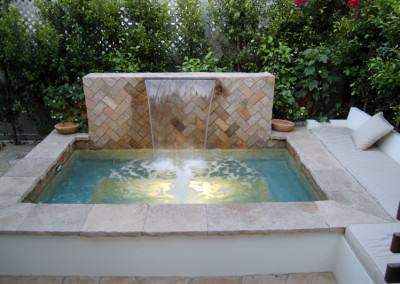 A two level backyard, including a waterfall that cascades into an 8-person spa. 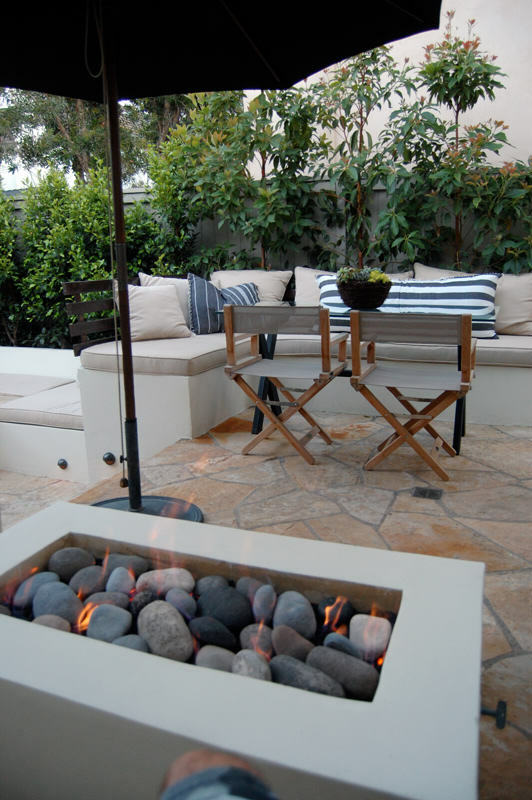 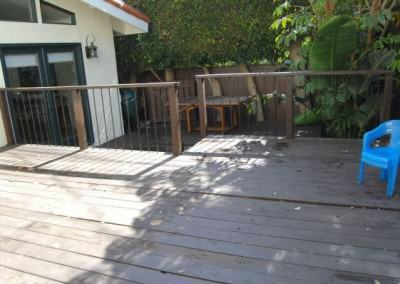 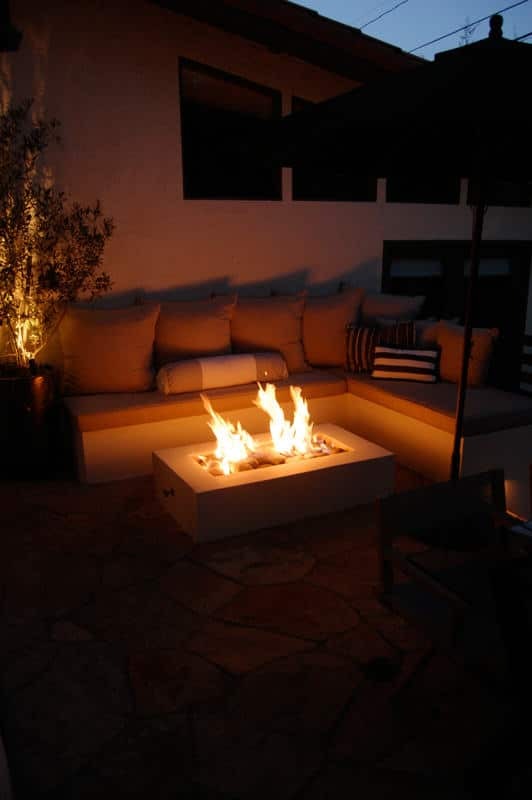 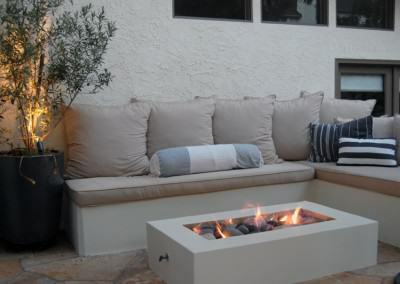 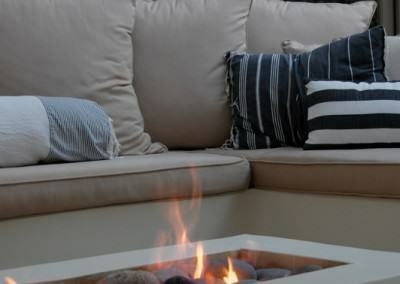 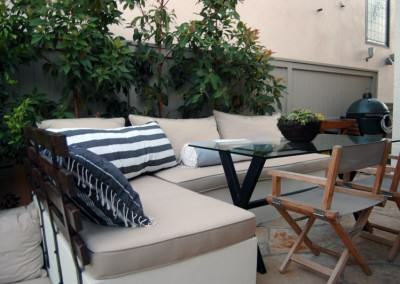 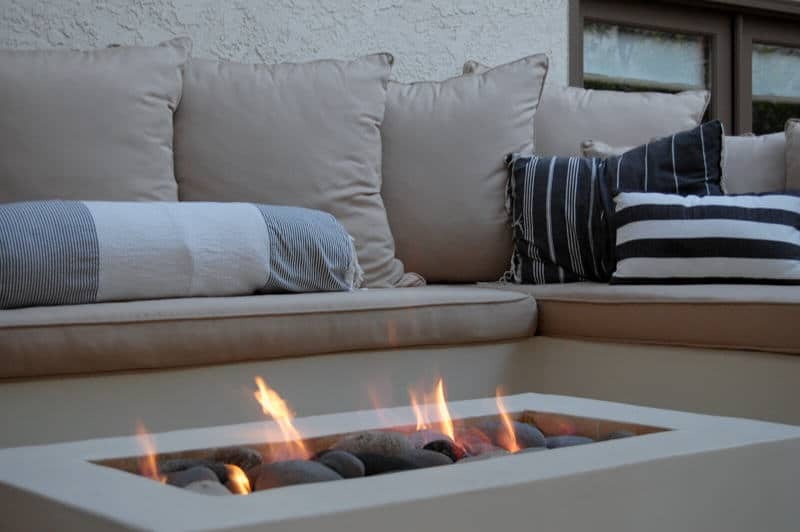 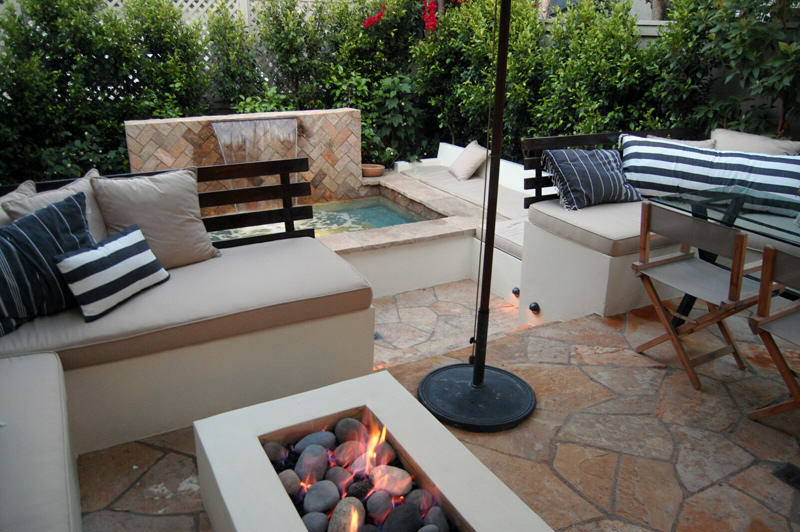 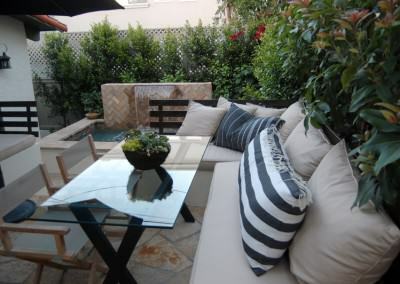 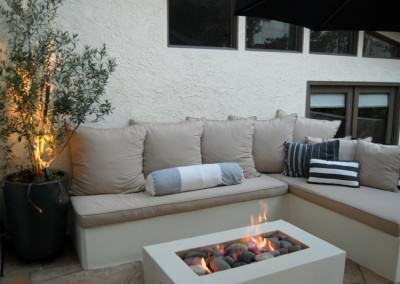 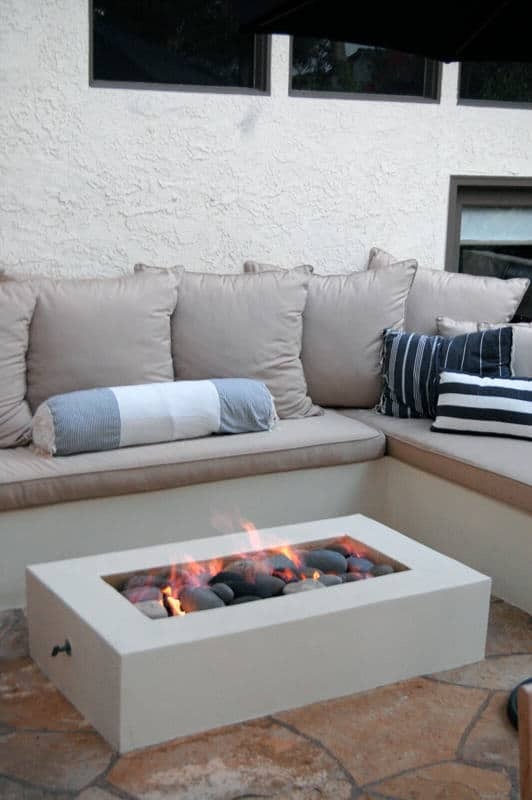 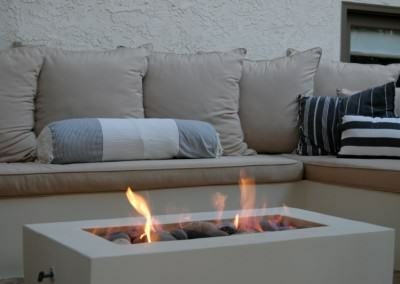 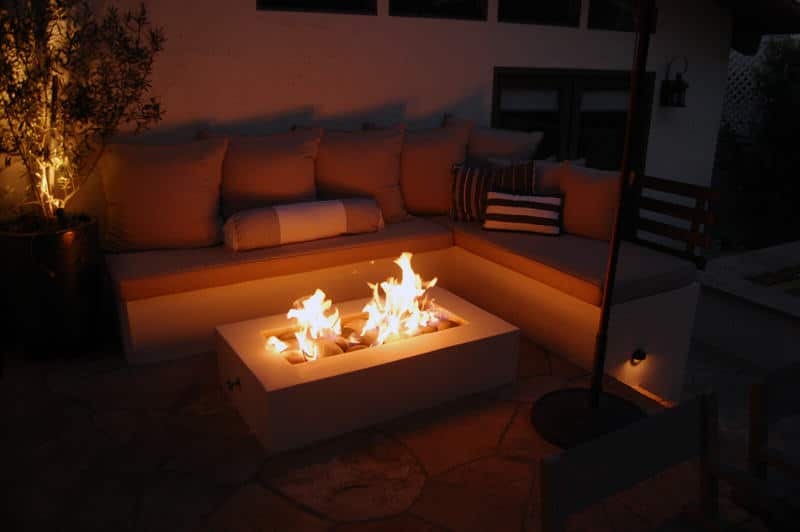 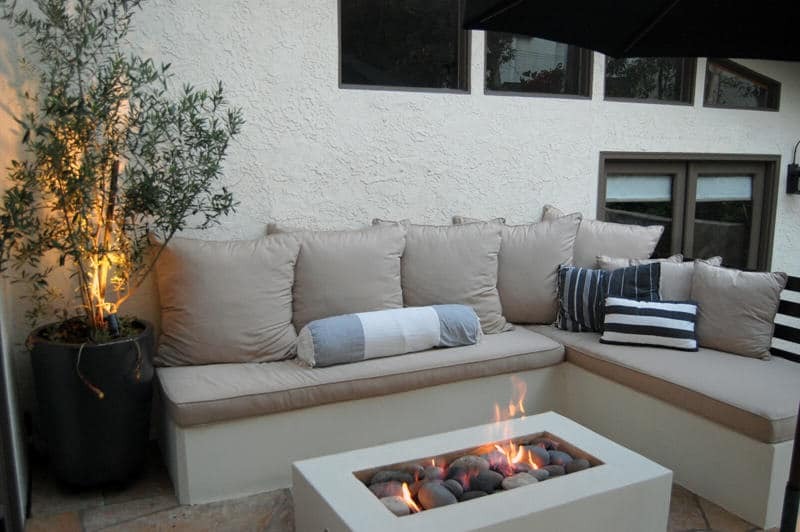 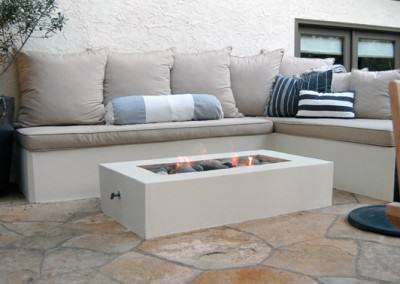 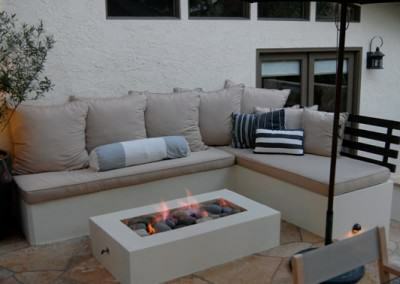 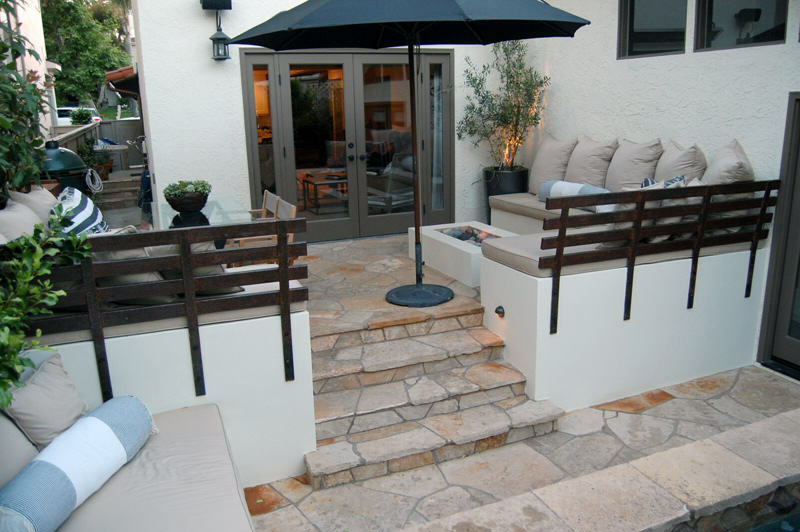 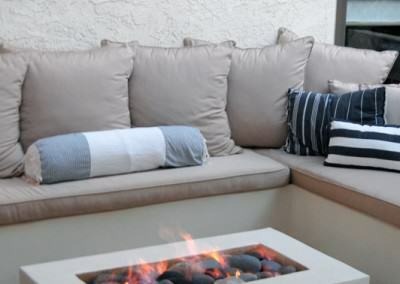 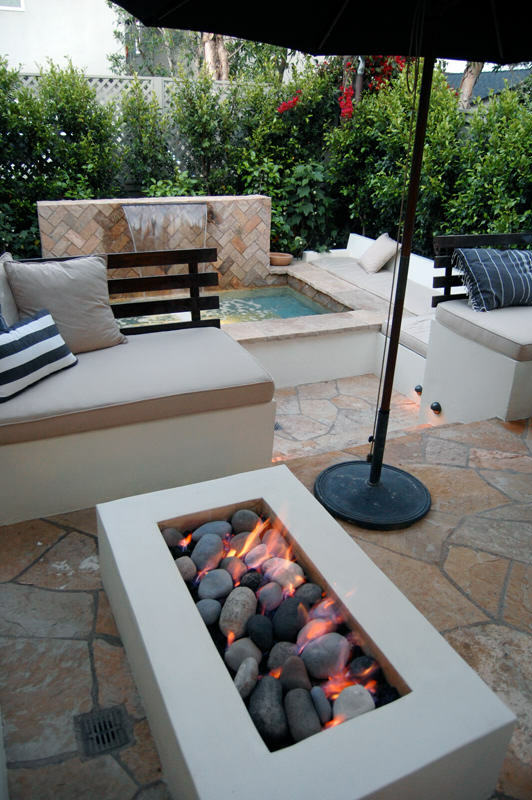 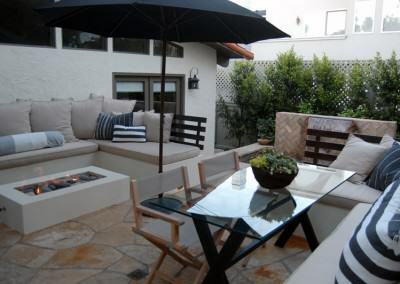 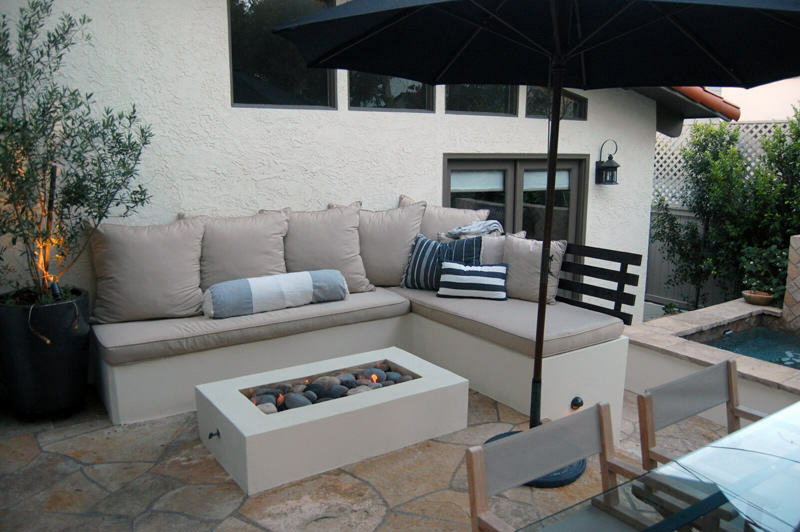 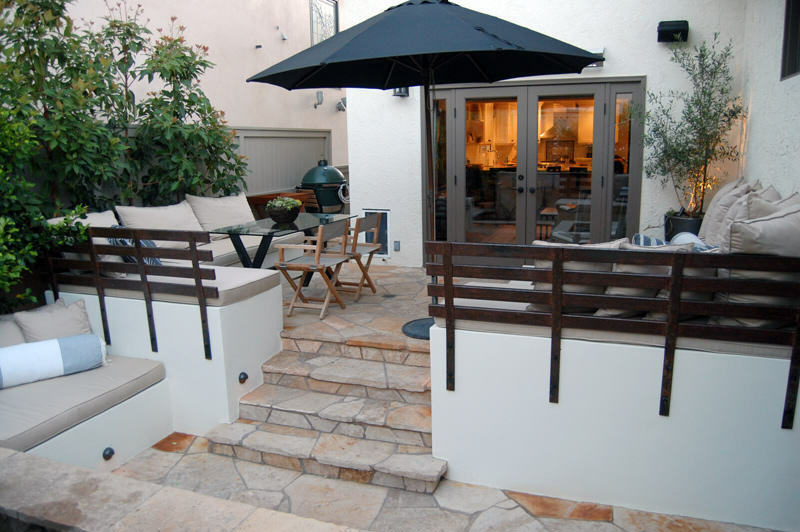 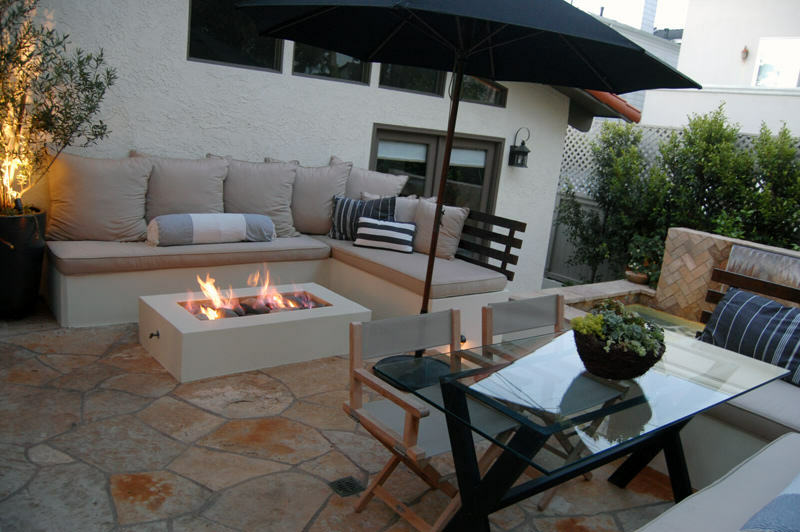 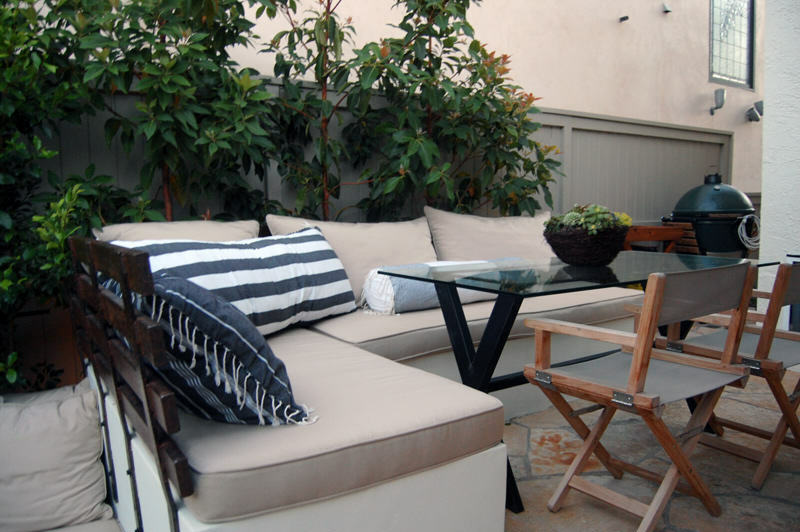 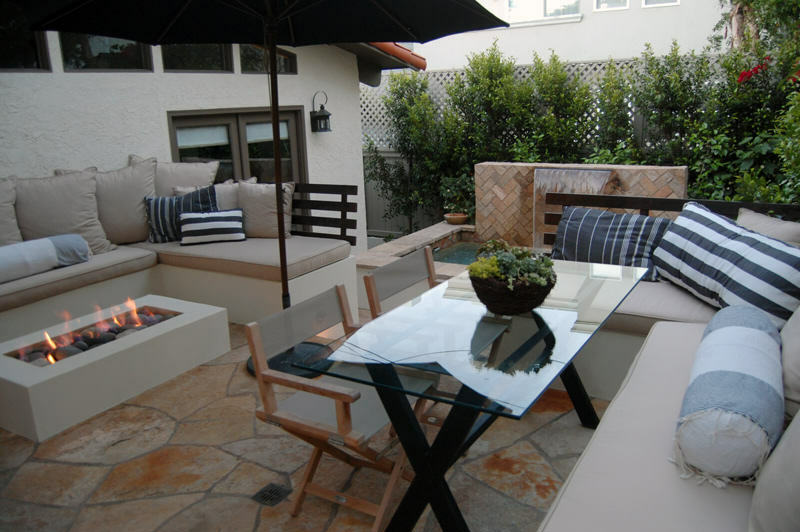 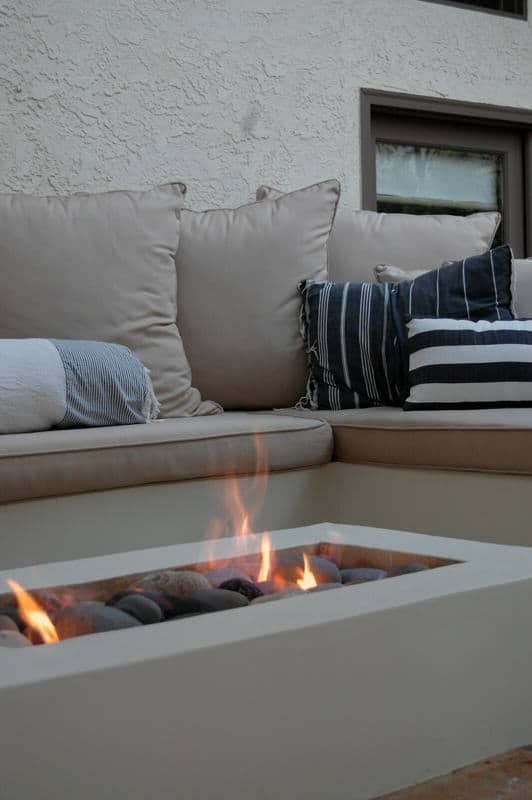 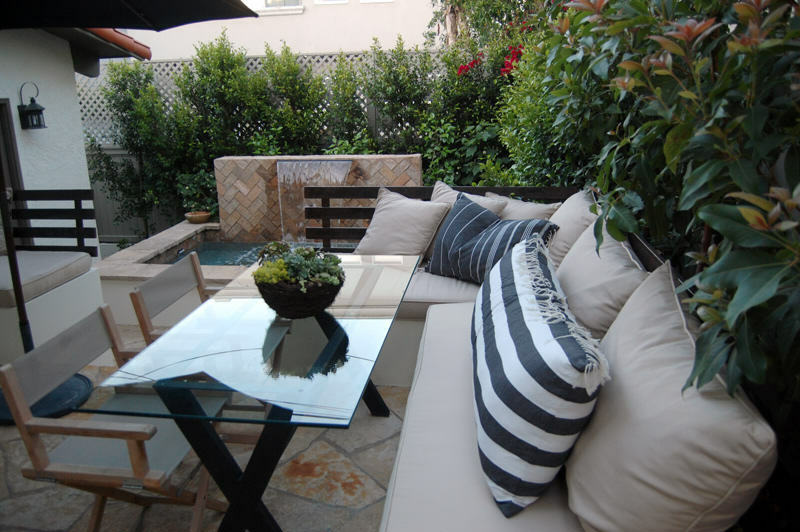 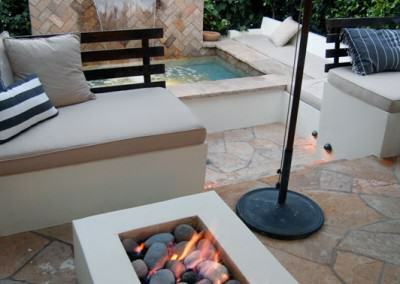 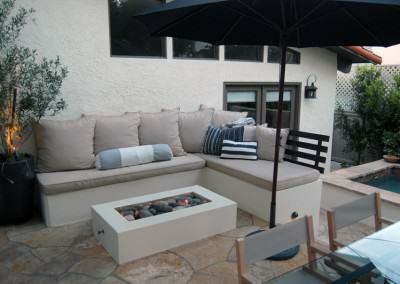 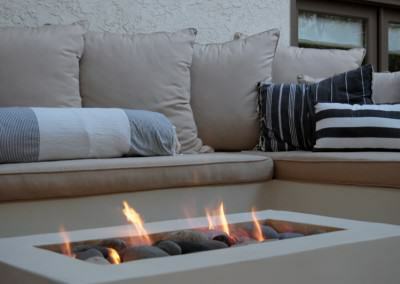 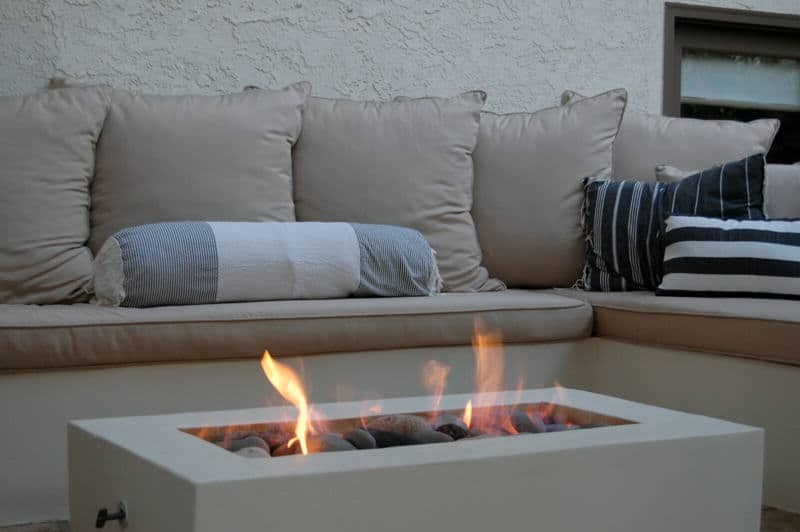 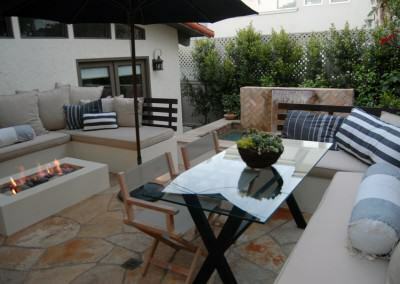 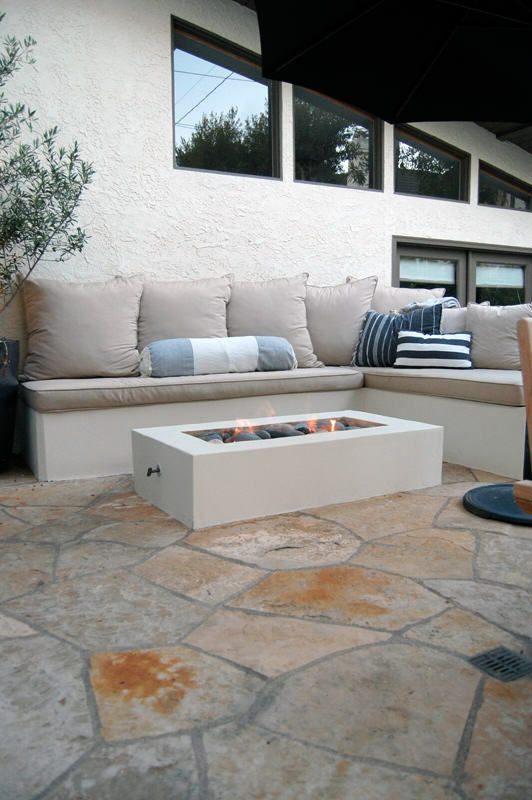 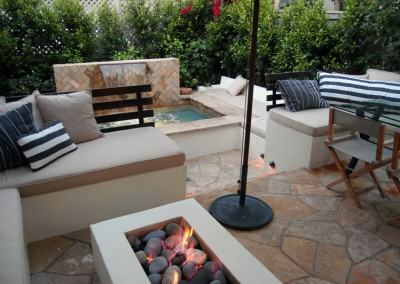 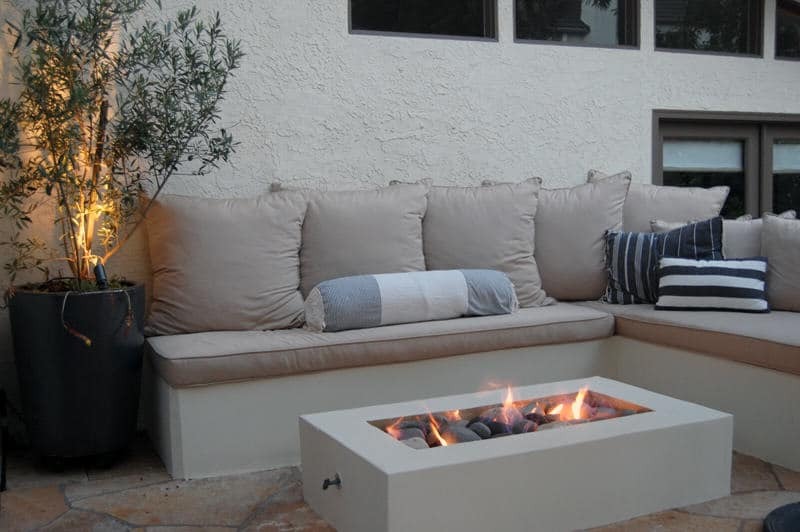 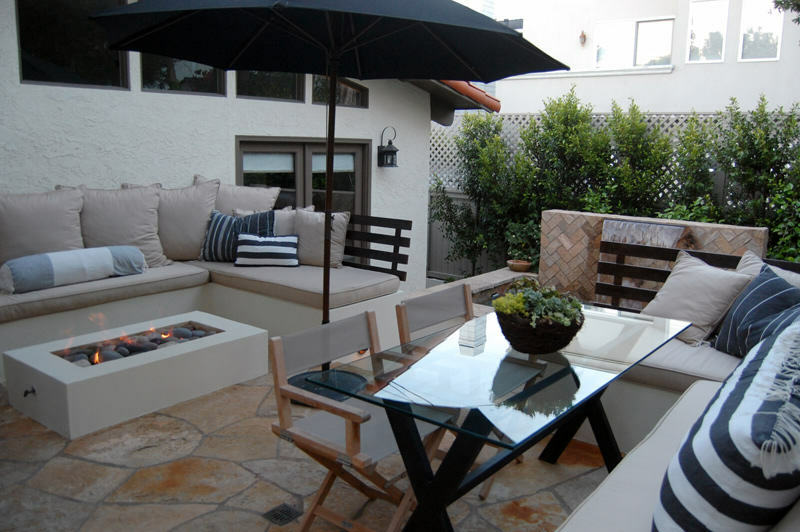 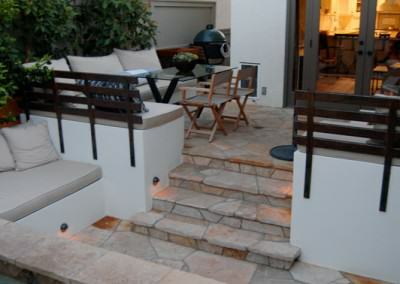 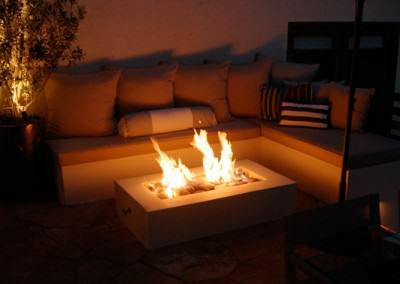 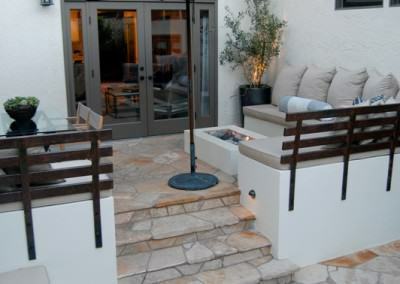 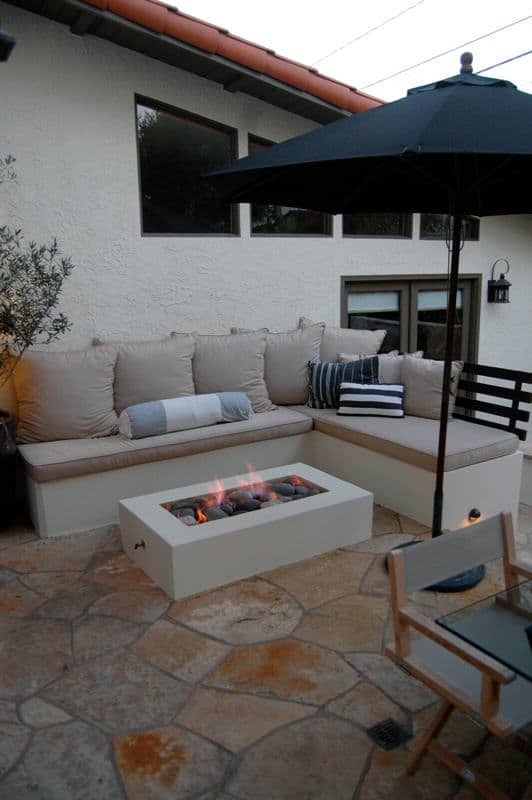 Built in benches creating a sitting area around the spa and the upper level patio and fire pit. 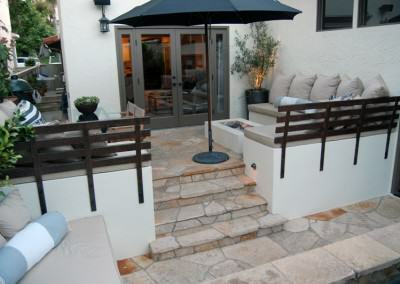 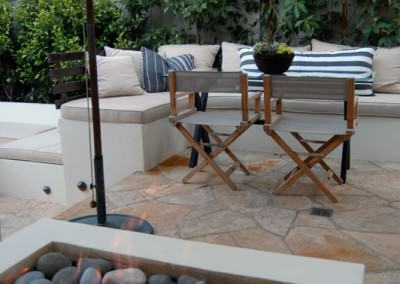 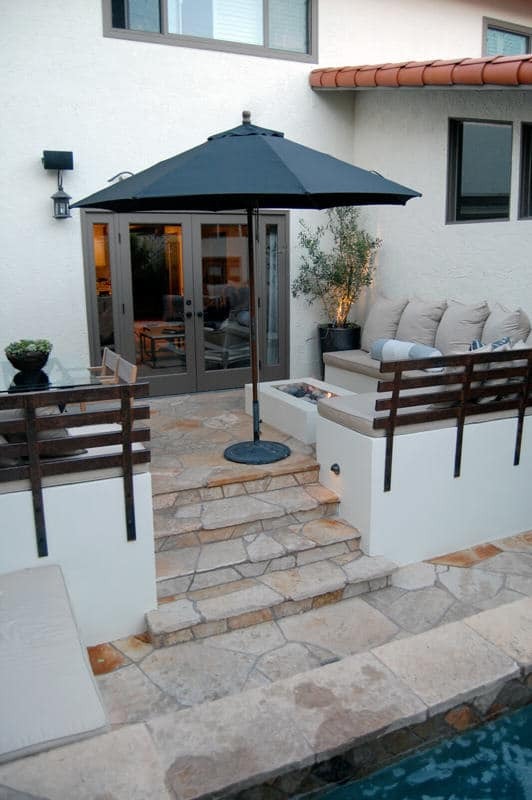 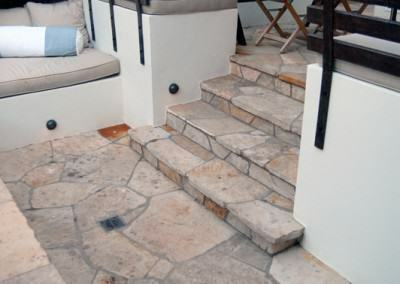 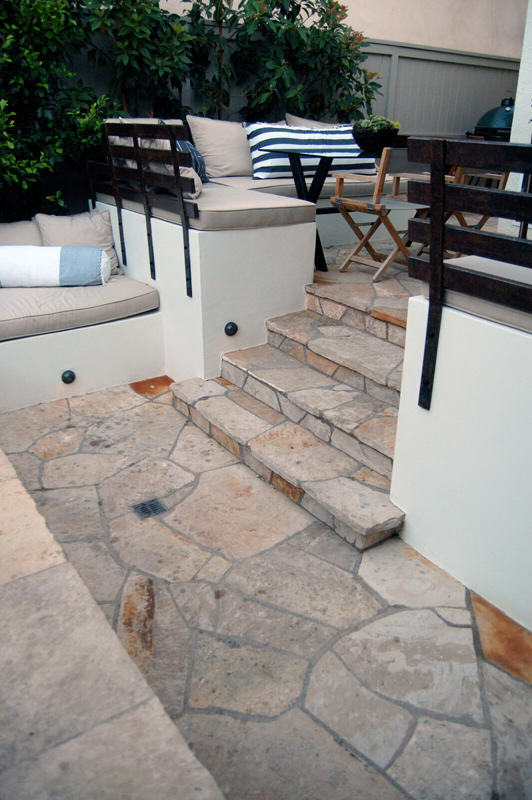 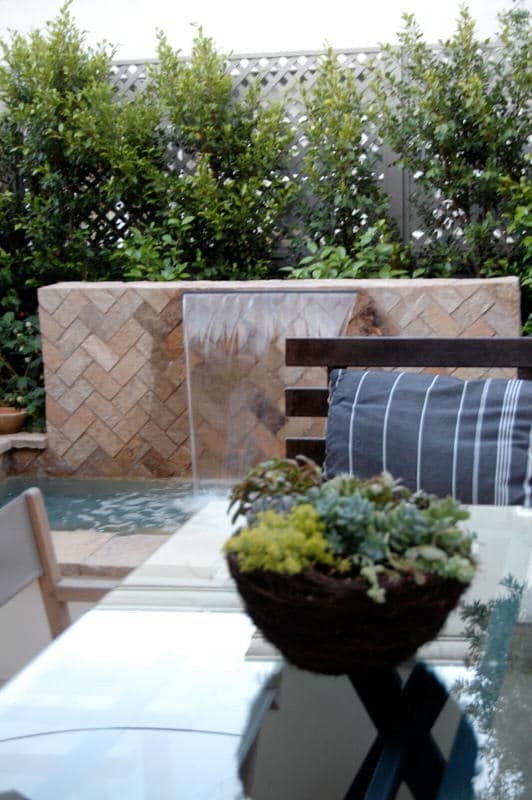 Oakwood flagstone was used throughout the entire project.